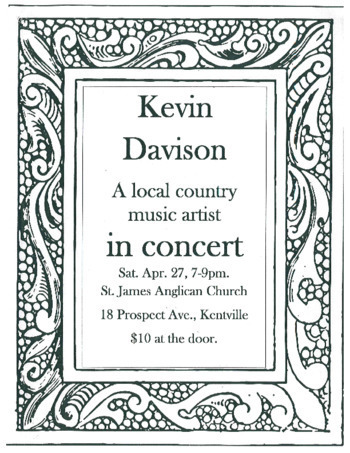 Kevin Davison in a concert to celebrate spring. Refreshments will be served. Come out for an evening of entertainment with our local valley singer songwriter!